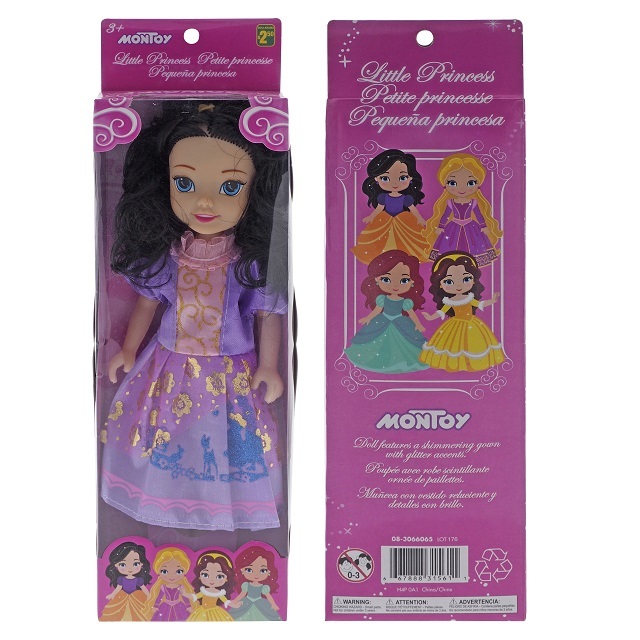 This recall involves the MONTOY branded Little Princess Doll. The product comes in six different variations with the same identification code. The item number 08-3066065 and UPC 667888315611 can be found on the lower back part of the packaging. As of December 21 2018, Dollarama L.P. has not received any reports of incident or injuries related to the use of the doll. For further information on phthalates in children's products, see Health Canada's Website. Approximately 111,378 units of the affected products were sold in Canada. The recalled products were sold from September 12, 2017 to December 18, 2018. Consumers should take the recalled toys away from children and either dispose of them or return to the store to obtain a refund (no receipt required). For more information, consumers may contact Dollarama toll free at 1-888-365-4266, 24 hours a day, seven days a week or visit the company's website.